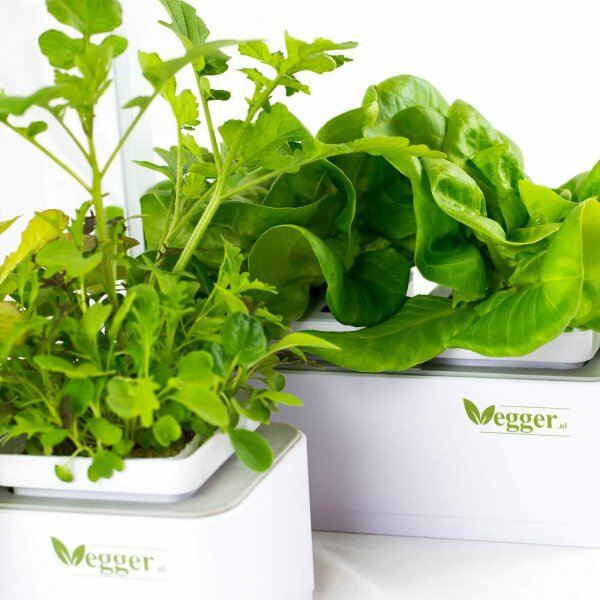 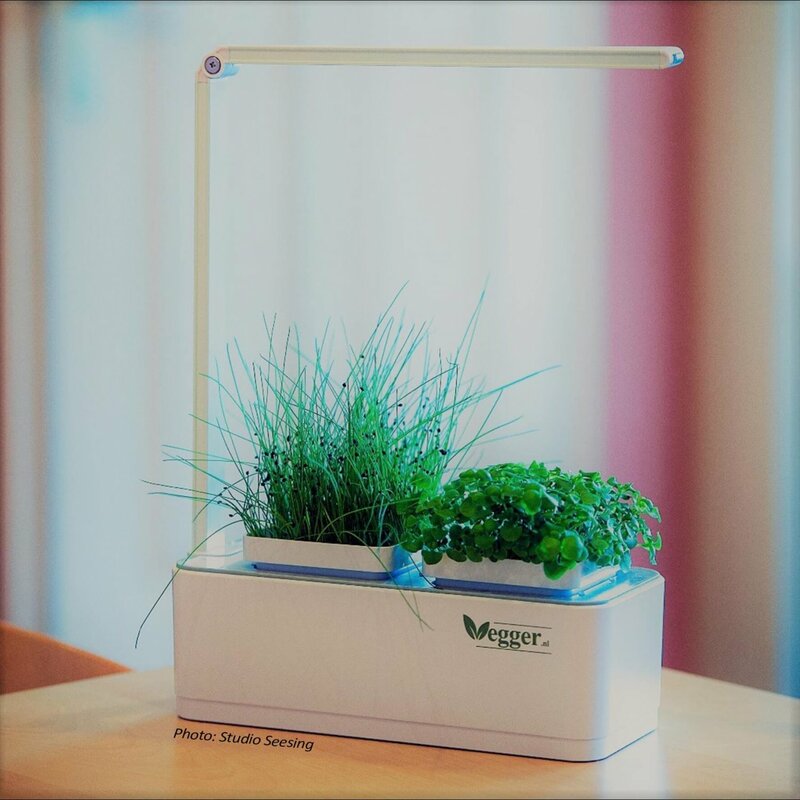 Vegger Indoor Garden, Grow healthy plants and herbs using the latest hydroponics technology. 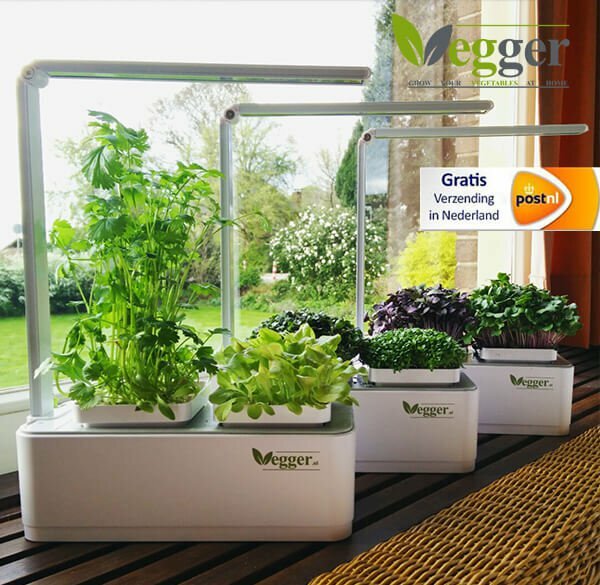 Very simple to use with hydroponic gardening nurtures plants, herbs, vegetables, tea, fruits without any soils. 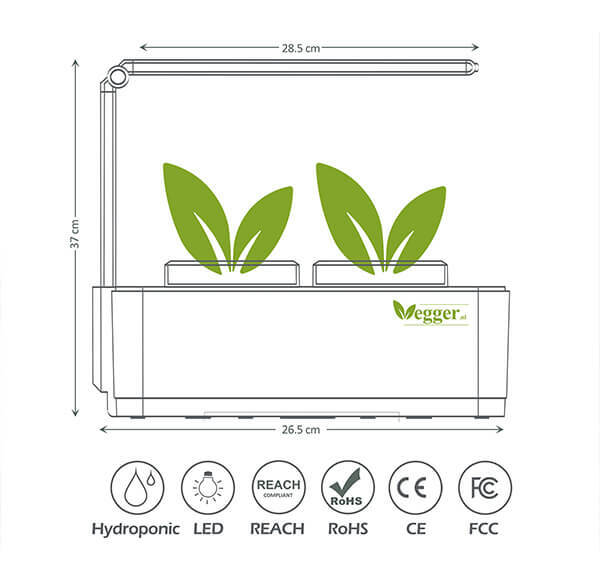 Elegant design with the 2 modes LED light, (White reading light, pink plant growing light). 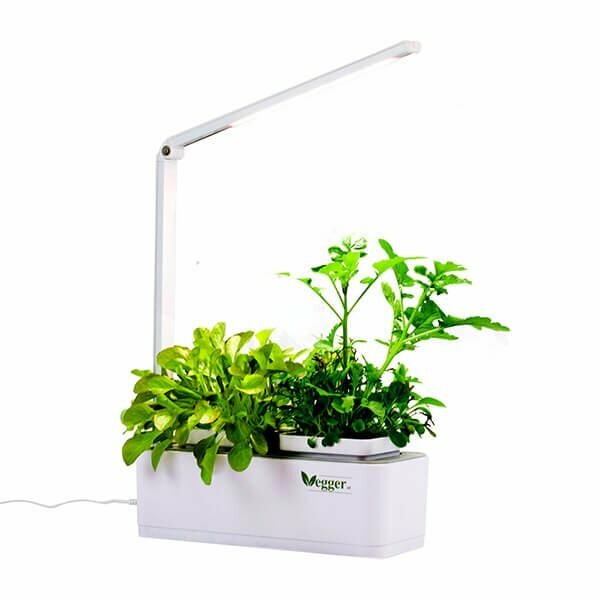 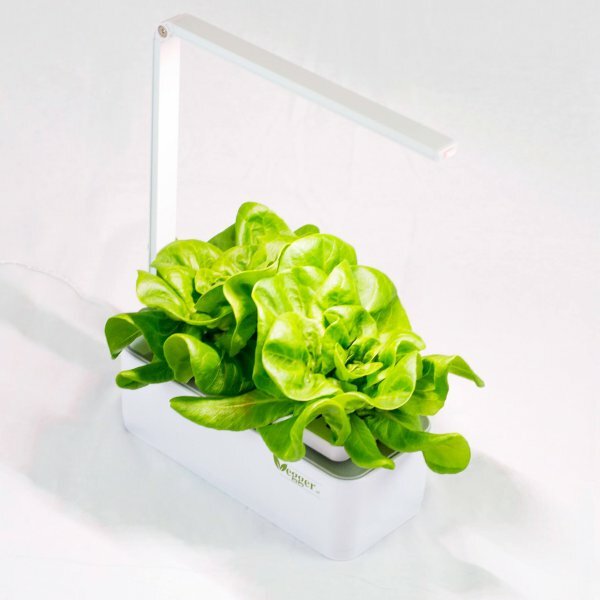 LED modes is, white color for regular lighting, and Pink Red color for healthier plants growing, simulate the sun light for healthy growing plants and herbs. 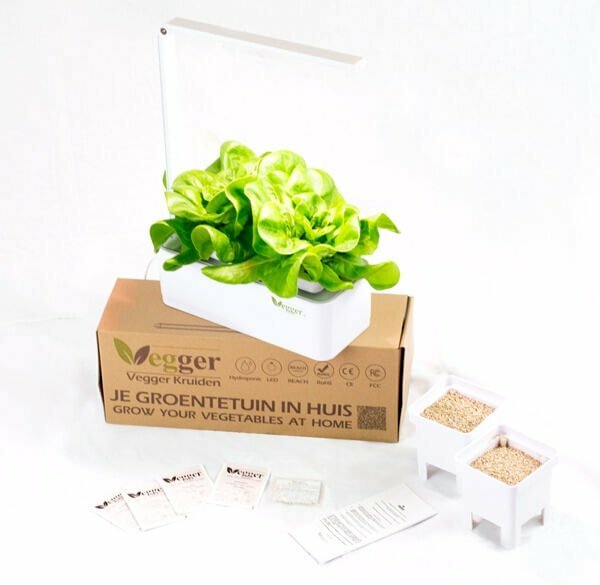 Including Vegger Accessories (1 bag of Microgreen Basil, 1 bag of Microgreen Mosterd , 1 bag of Microgreen Leek, 1 bag of Microgreen Broccoli, 1 bag of plant’s nutrient and growth medium) to start immediately with Veggering!